Product prices and availability are accurate as of 2019-01-13 10:44:20 EST and are subject to change. Any price and availability information displayed on http://www.amazon.com/ at the time of purchase will apply to the purchase of this product. 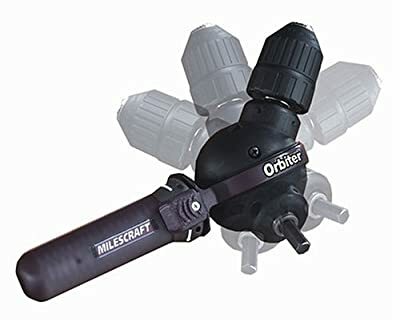 The Milescraft Orbiter is a patented design! 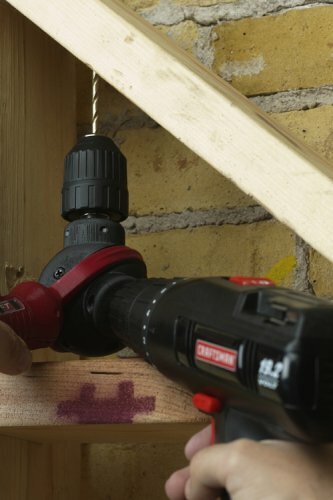 You can position the bit at any angle from the drill chuck to get into an infinite number of angles or positions, which allow for drilling in areas not otherwise accessible with a standard drill. Establish the drilling angle and twist the handle to lock into place. Reverse the handle to unlock. *Orbiter is intended for use with corded power drills at 1000 rpm or faster with 3/4? and smaller twist and/or spade drill bits. Orbiter should not be used with any drill bit larger than 3/4?, any size hole saw cutters and/or any size auger style bits to avoid product damage. Not intended for use with Impact Drivers. 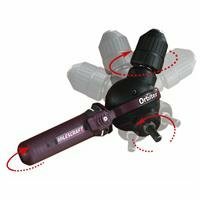 The Milescraft Orbiter 360 Degree Drill Attachment has a unique design which allows you to reach tough spots, giving you drill access to previously unreachable areas in your home, garage, or any other tight space or corner. 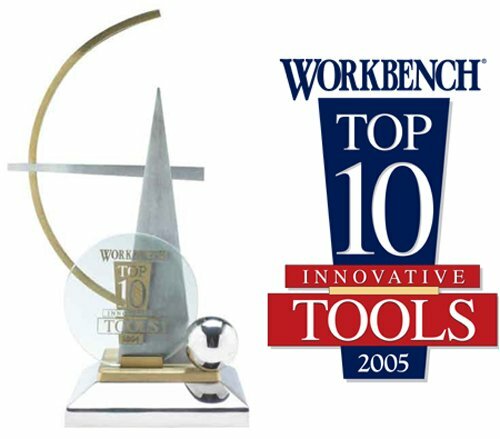 Using a split-body construction, both halves of the body and the handle are all able to rotate independently 360 degrees; the beveled gear assembly allows an infinite number of drill angles for maximum versatility. Able to fit on any 3/8-inch or larger drill, this attachment includes a keyless chuck for fast, easy bit changes. The handle has a soft-grip design for comfort while working as well as providing a security lock for the body.